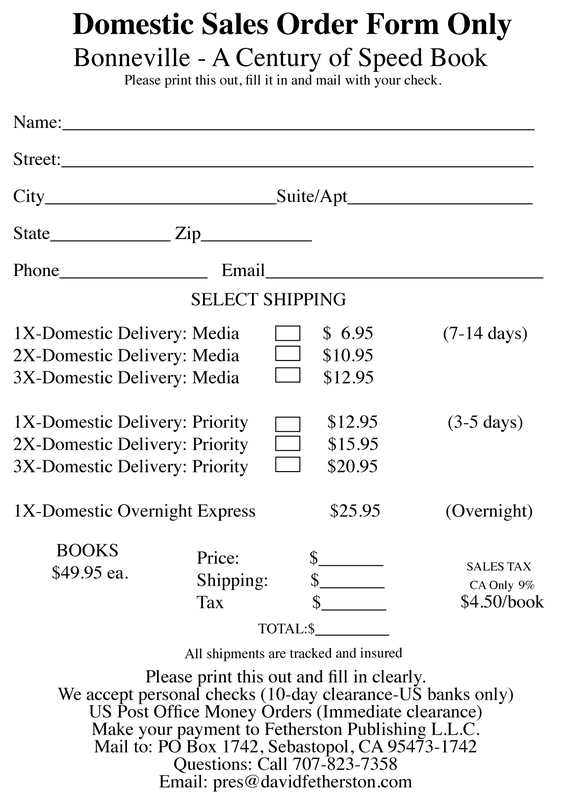 Second Edition Now on Sale! 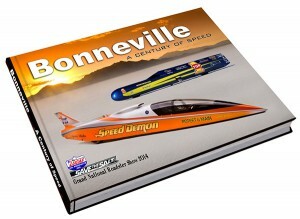 Bonneville books are few and far between, but this new exhibition book covers the collective history of Bonneville racing in a massive 328 pages. Created to celebrate 100 years of Bonneville racing, the book covers the root of land speed racing in 1898 in France and sweeps to America with an overview of the Florida Speed Trials and the first known racing on the lake in 1914. The history, stats, and photos continue onward to the 2013 season. Interspersed in the history and stories are 600 photos of the great Bonneville champions, including Mickey Thompson, Donald Campbell, John Cobb, Ab Jenkins, the Burke family, the Latins, the Lindsleys, Les Leggitt, Al Teague, Scott Guthrie and the Burklands. 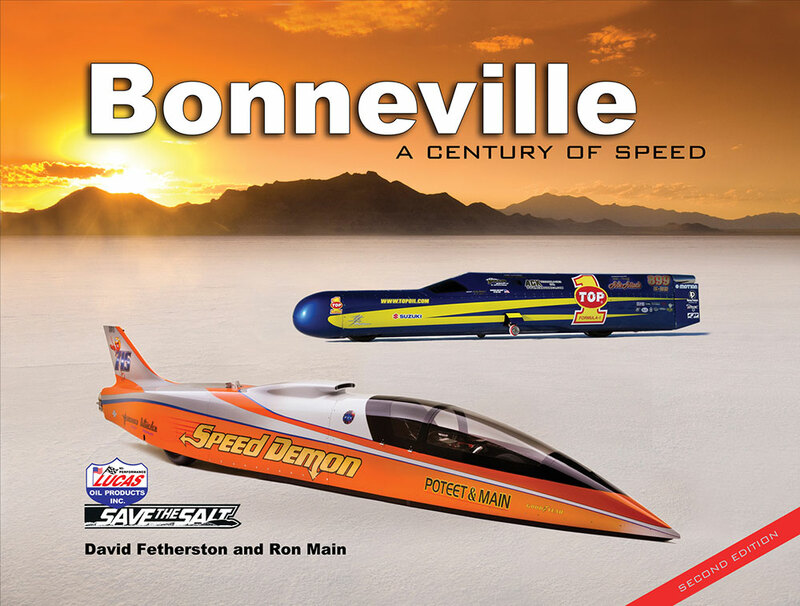 The stories will help you appreciate that the core of Bonneville is the greater land speed community of individuals who have raced on the lake all these years. You will close this book in awe at the wonderful historic collection LSR streamliners, roadsters, coupes, production cars, and bikes. The original impetus for this book was Ron Main’s Bonneville – A Century of Speed exhibition held at the 2014 Grand National Roadster Show at the Fairplex, in Pomona, California. Here, it raised $40,000 for the Salt Lay-down Project.